Mixed martial arts (MMA) fighter Chael Sonnen has been given permission to use the anabolic steroid testosterone by the Nevada Athletic Commission (NAC). 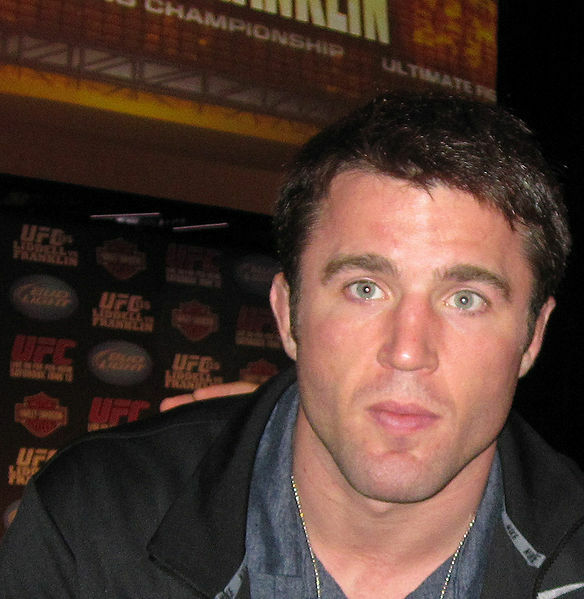 Dr. Timothy Trainor, the NAC consulting physician, determined that Sonnen suffered from a legitimate medical condition identified as hypogonadism. Hypogonadism is a condition in which the body fails to produce adequate amounts of testosterone. Testosterone replacement therapy (TRT) is a medically-accepted and recognized treatment for hypogonadism. Sonnen was officially granted a therapeutic use exemption (TUE) by the NAC and licensed to fight against Anderson Silva at UFC 148 on July 7, 2012. Sonnen’s TRT protocol involves twice-weekly injections of either testosterone enanthate or testosterone cypionate. The dosages involved were not revealed during the NAC hearing. However, Dr. Trainor and NAC executive director Keith Kizer specified that Sonnen’s blood serum levels of testosterone must remain within the physiologic normal range on the morning following the Silva bout. The NAC did not explicitly require that Sonnen’s serum testosterone levels stay within the normal range at any other time. Without such requirement, Sonnen could conceivably use supraphysiologic amounts of testosterone outside of competition. “If someone has a TUE exemption, they should be tested the morning after they fight to get what their serum levels are in case they take something right before fight,” said Trainor. Trainor suggested that testosterone could have performance-enhancing benefits IF administered too close to the fight. Kizer and Trainor suggested restrictions on steroid injections in the days before a fight to prevent an elevated serum testosterone reading. The NAC seemed to overlook the fact that the performance-enhancing benefits of steroids such as testosterone are not due to their use on the day of the fight. Rather steroids, especially supraphysiologic dosages, can significantly enhance performance during the training period outside of competition. The performance-enhancing benefits persist for some time even after discontinuation. Sonnen had previously used the TRT defense to explain a positive testosterone:epitestosterone ratio at UFC 117. He appealed the suspension before the California State Athletic Commission (CSAC) and had it reduced to six months from one year. The CSAC accepted his defense but did not exonerate him because Sonnen failed to follow the proper procedures to obtain a therapeutic use exemption (TUE). Sonnen has since reportedly filed for TUEs in the Illinois and Texas.